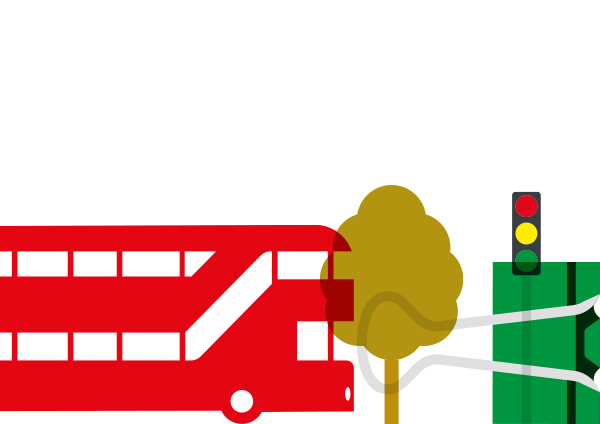 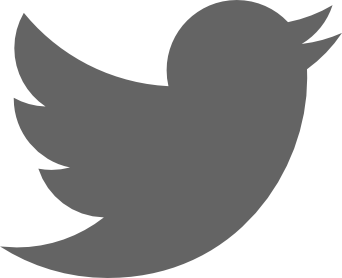 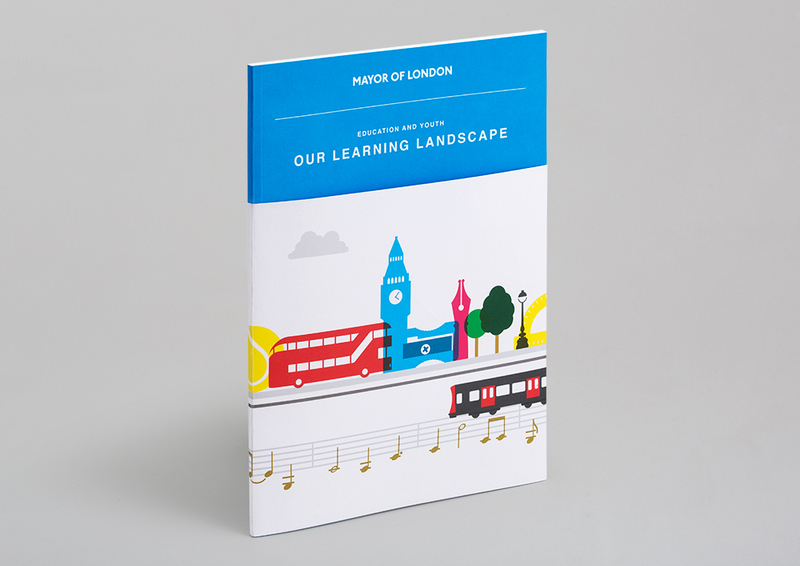 The Mayor of London’s Education and Youth team run an extensive programme to support the academic and personal development of young people in London. 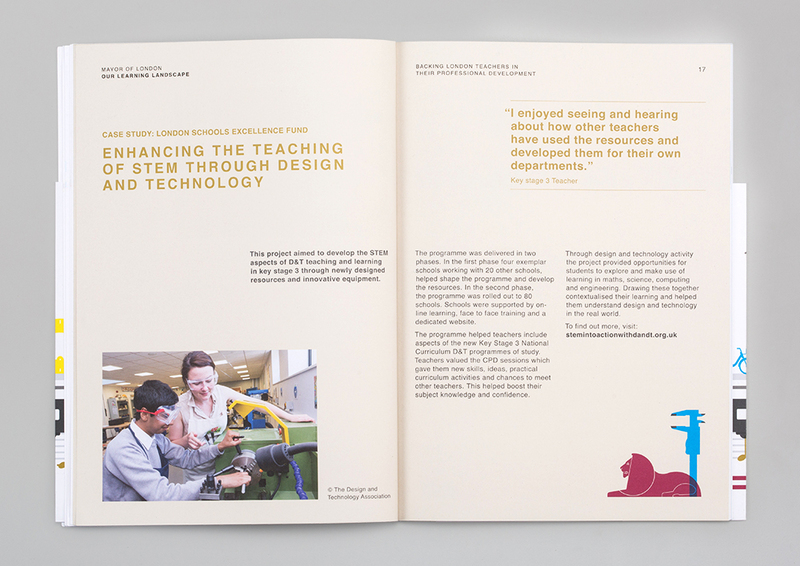 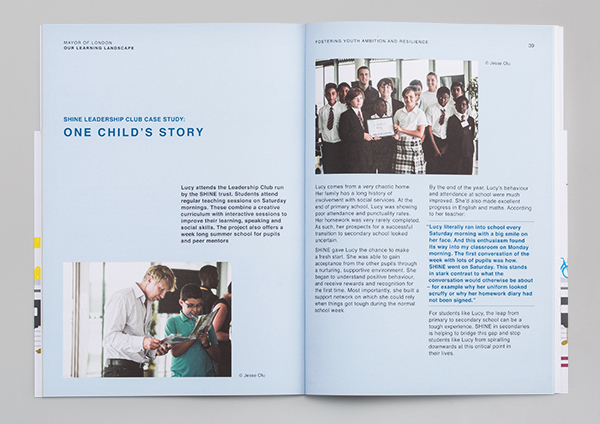 We were asked to name and design a review document for Mayor's annual education conference, showcasing the results of 12 months' activity. 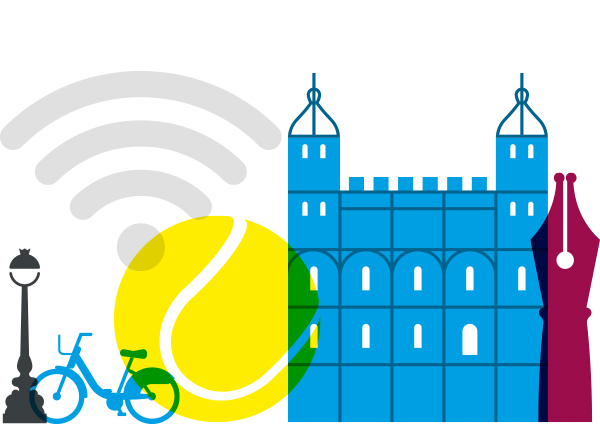 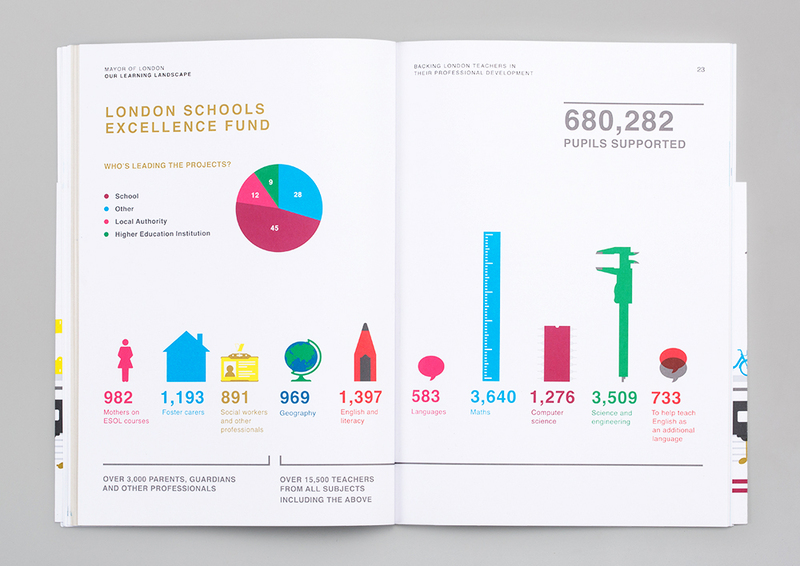 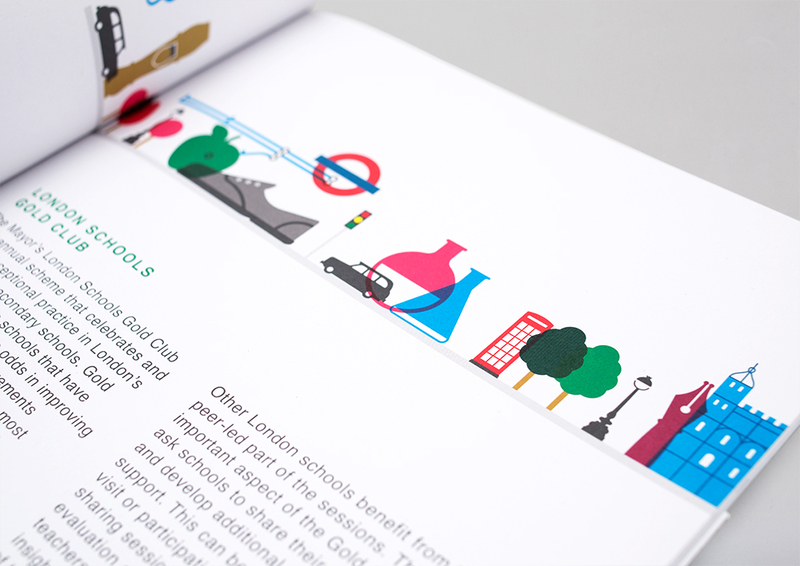 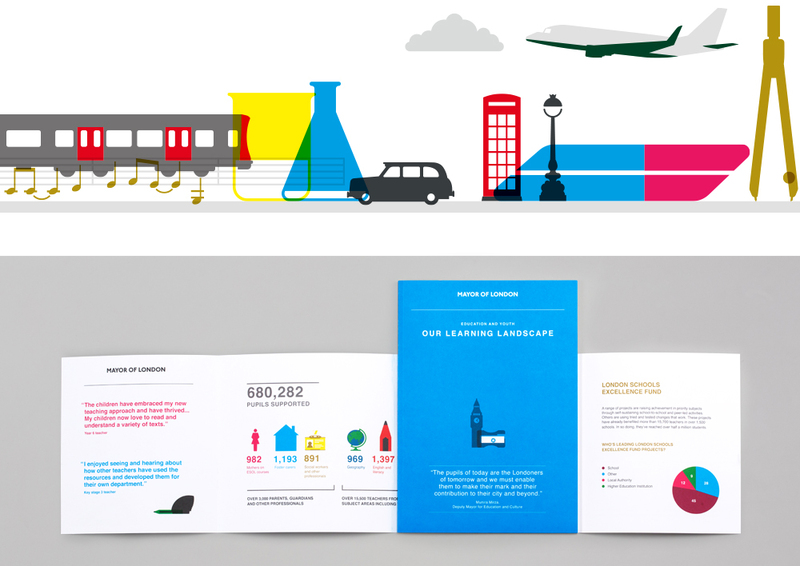 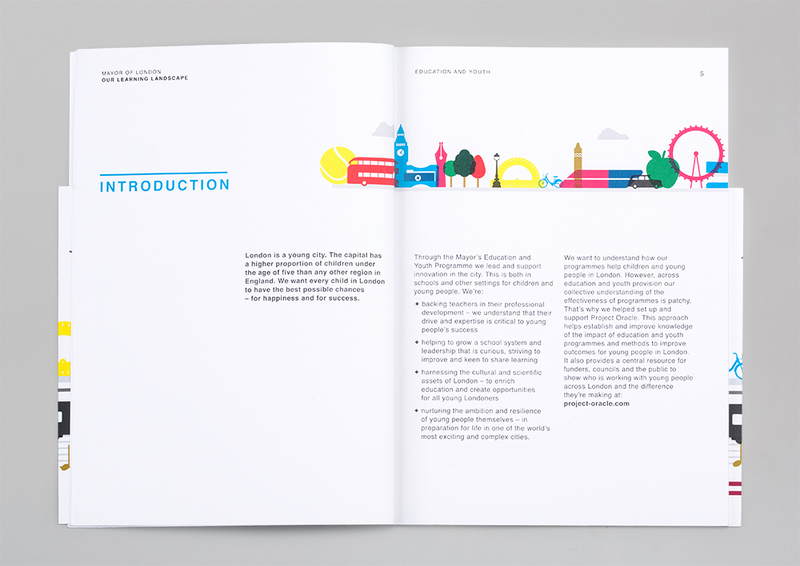 We created a colourful printed booklet supported by a suite of illustrations that combined the tools of learning with elements and landmarks of London.